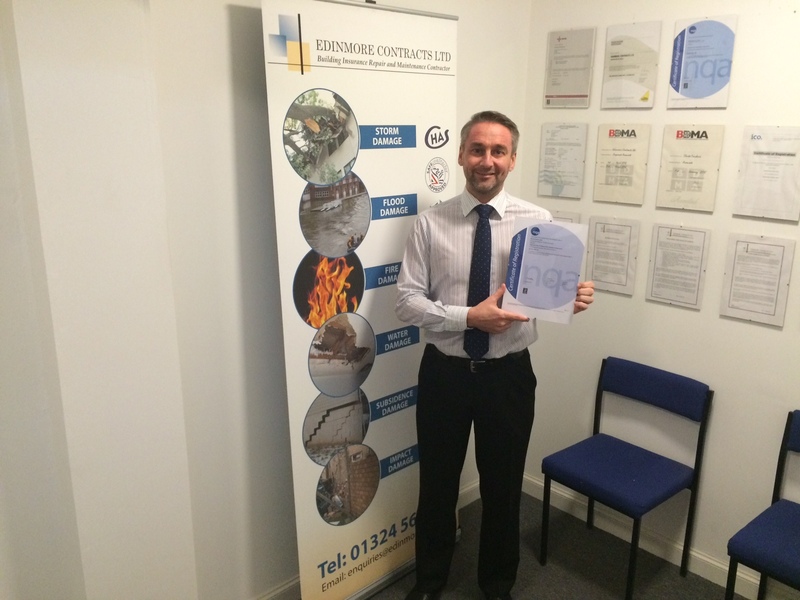 Edinmore Contracts are delighted to have achieved OHSAS18001 Health & Safety certification. Health & Safety Manager Steven Soroka commented, “We have worked towards this certification over the past 8 months and I am delighted to now have this certificate along with our ISO14001 Environmental certification. I believe we maybe one of the very few Insurance Contractors to hold both certification standards. We have implemented this new Health & Safety management system into our current working practices to run alongside our ISO14001 procedures. These certifications demonstrate that we have made a commitment to ensure continuous improvement in Health, Safety and Environmental practice within the business. We all have our part to play in achieving this, both in the office and out on site.